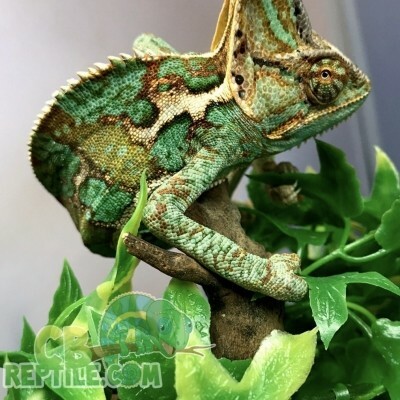 Learn veiled chameleon care, veiled chameleon information, veiled chameleon diet, veiled chameleon feeding, veiled chameleon breeding, veiled chameleon habitat and more. General: The Yemen or Veiled Chameleon makes an excellent starter chameleon as it is more hardy than some species. 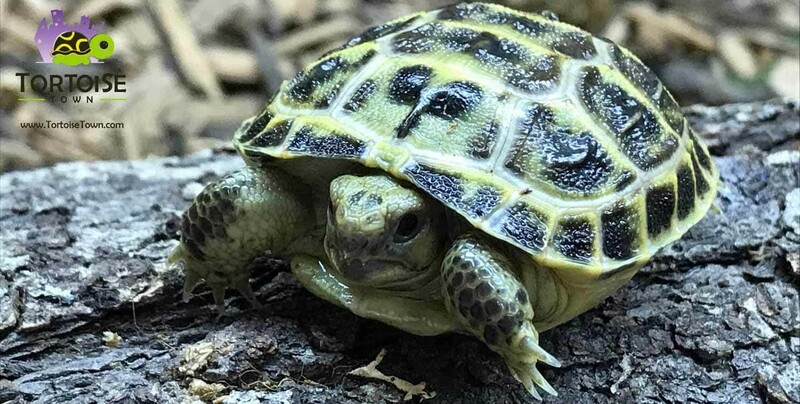 Their amazing eyes and feet and the way they feed makes them interesting pets which can live for up to 5 years. The best way to house a Yemen Chameleon is in a full mesh vivarium such as a flexarium. 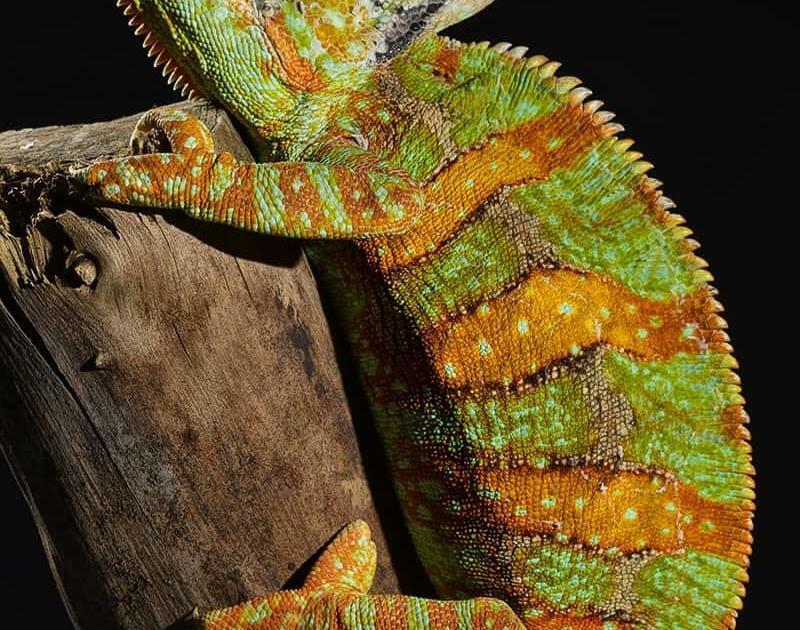 These provide the chameleon with both the space, height and ventilation required. You can use a conventional vivarium, but would need to add a lot more vents to it and chameleons like to be up high, so a vertically orientated enclosure is a must. Substrate is best avoided as chameleons will get it stuck to their tongues whilst feeding. Branches vines and a good amount of plant cover are a must. These must be small enough for the chameleon to grip, and allow access to the floor. A vertically orientated temperature gradient works best for Veiled Chameleons also known as Yemen Chameleon with the basking spot at the top of the enclosure being around 92-96F. If your chameleon wants to cool down it can then move lower down the cage. Full spectrum UV lighting is a must and is best provided by either a mercury vapour bulb, or a 10.0 strength UV tube. Chameleons like humidity and Yemens should be sprayed thoroughly every day, preferably twice. They will also not drink from a bowl and so spraying also provides water droplets which they lick from the leaves. Yemen chameleons will eat any appropriately sized insects. Crickets and locusts are usually the staple, but they will eat many other insects. All insects must be dusted with calcium daily and vitamins once or twice a week. 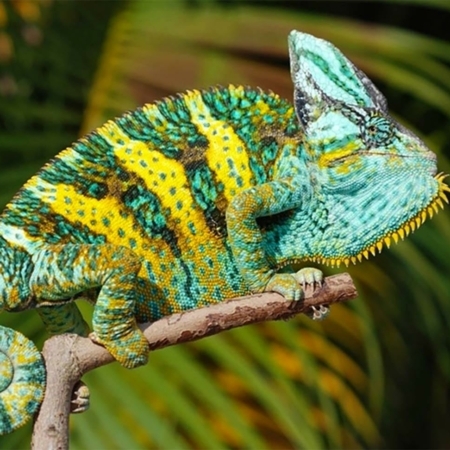 Look for a chameleon which is alert and moves well with a tail which is either alert or curled not drooped. Avoid sunken eyes and baggy skin. 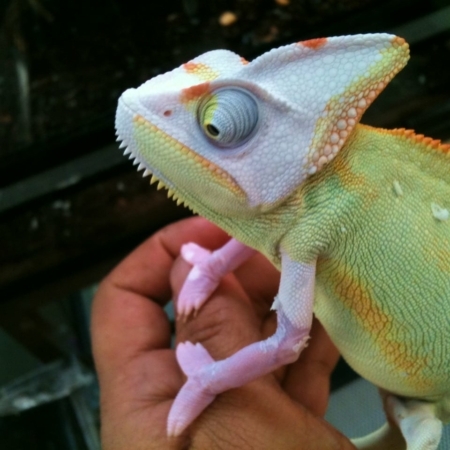 Some patternmorphs such as piebald are now emerging in Yemen chameleons.